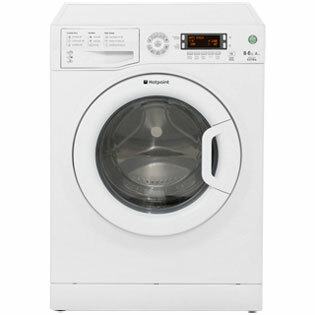 Keep your clothes looking clean and feeling fresh with this Hotpoint washer dryer. 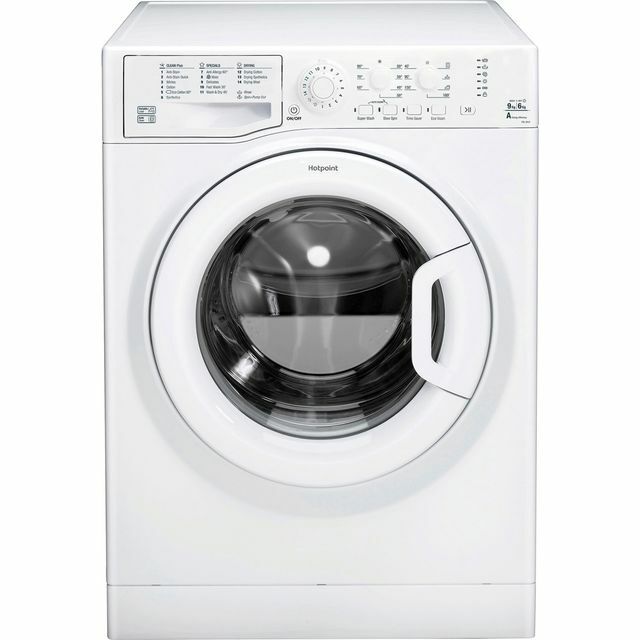 With its 9kg drum, this model is great for medium-sized households. It has an A energy efficiency rating and has an estimated annual energy cost of £188.50. Thanks to the handy Anti-Stain programme, your laundry will be left looking as good as new. 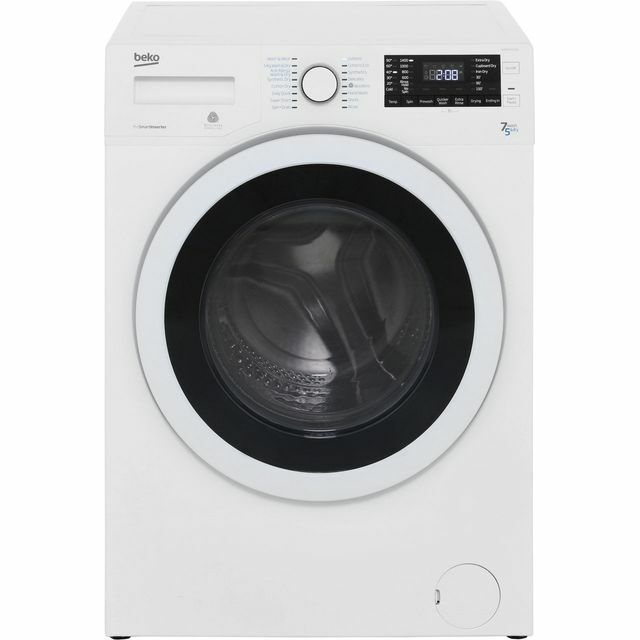 This instantly releases detergent into the drum, removing up to 20 of the most common stains without needing to pre-soak your laundry. 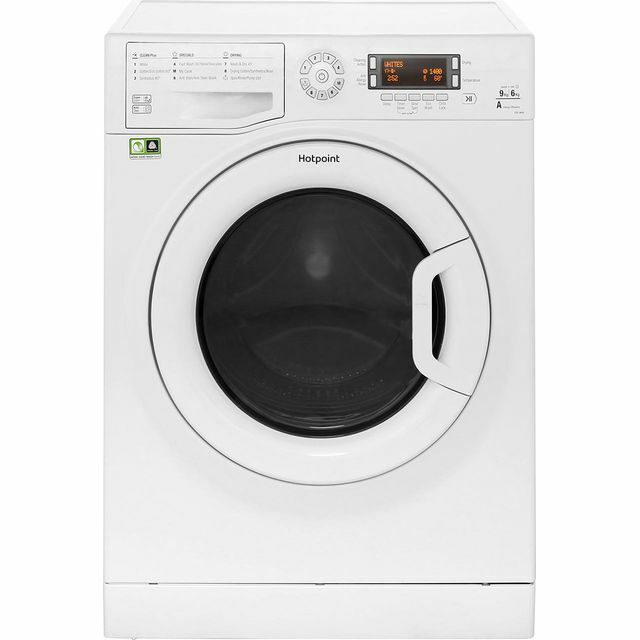 Ok, so as normal you only ever buy a washing machine if the old one is bust. 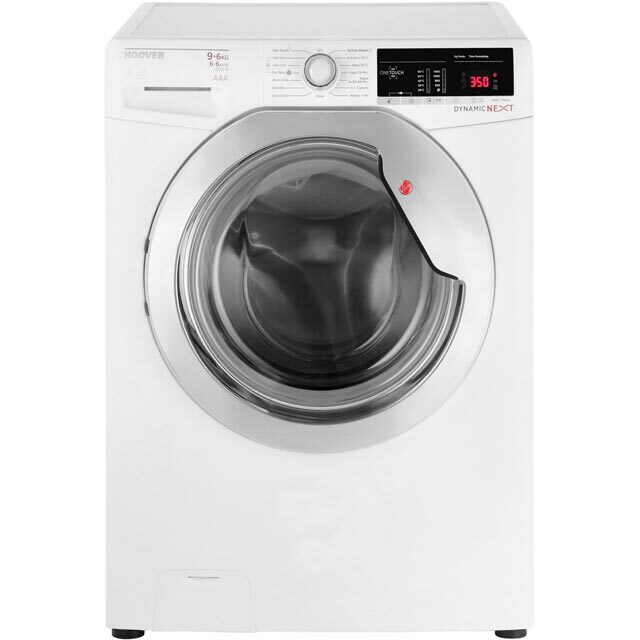 Ad was my case, a beko which was noisy when taking in water, was noisy when washing clothes, and despite dampening mats and trying to keep level, danced all over the floor when spinning. Queue this machine arriving It's quiet all of the time, hardly any vibration when spinning, and as I still had the mat it doesn't even do that. Plenty of options. Only thing I wish bit had is a timer for letting us know how long left programme has. All my family love this machine. For a quick wash and dry on a night out to a heavy load on a Wash night.